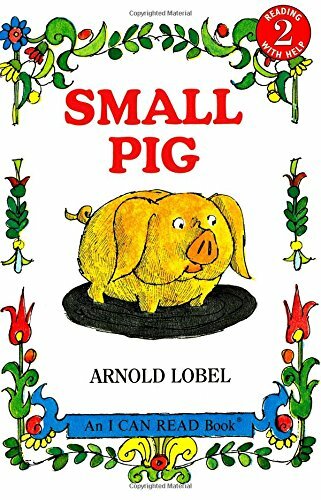 Arnold Lobel’s Small Pig is one of my favorites of his works for children in the Kindergarten Primary level, the level where I spent the most of my nearly forty years in the public school classroom. Diminutive porker, Small Pig, likes to do all the things other pigs like to do; he eats, he sleeps, and HE sinks down in nice soft mud. Not only does Small Pig like to roll in mud, but he really likes to sink deep, deep down in it and just enjoy nice squishiness. The farmer and his wife do love their little pig. One day the farmer’s wife determines that she needs to some cleaning. With her giant vacuum cleaner she cleans the farm house. Once started she simply cannot stop. Oh My. Out of the house she goes to clean the barn, and the stable, and the chicken coop. She keeps cleaning until finally, she comes to the pigpen where Small Pig is a happy little porker. And, she begins to clean it up. First she cleans the pigpen. Next she puts Small Pig into a soapy pail, where she CLEANS Small Pig. The Farmer’s Wife is happy; everything is spick-and-span and shiny. Small Pig is not happy. Small Pig is unhappy, and, he is an angry small porker. Small Pig decides to run away. Jam-packed with easy-to-read vocabulary and child pleasing, characteristic Lobel illustrations Small Pig has proven to be a long time, much loved, favorite in my K-1 classrooms. Ludicrousness, exhilarating action, and short, simple, child friendly sentences and low key illustrations are a delight for emergent readers, as well as those who enjoy reading Lobel’s books to them. I find children nowadays often seem so overawed with clamor and pizzazz, fancy and glimmer, noise, TV and game machines and bombast from their youngest days; that they habitually come to Kindergarten or First Grade expecting to be entertained, cannot amuse themselves without ongoing activity and/or cannot be alone and happy with themselves. It is not a constructive or healthy thing for children to be unable to just sit quietly and appreciate the sunshine, or watch a butterfly just for the joy of sitting in the sunshine and watching a butterfly, or to miss laying on their back watching soundless clouds moving overhead, or to use their mind’s eye to fill in the blanks as they read. Small Pig offers prospects for children to discuss feelings, and what they see, in addition to building vocabulary using creative descriptions for what else the illustrator might have put into the pictures on the page. Arnold Lobel was one of the key providers to the I Can Read sequence. Copyrighted in 1969, Small Pig was Lobel’s first contribution to the series. Both, authoring and illustrating a diversity of stories regarding an assortment of creatures; Lobel has been a continuing favorite of children, parents and teachers for decades. 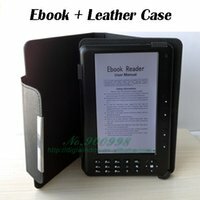 I like the hard cover edition for the classroom library and the paperback for the take home to read to parents and family activity.